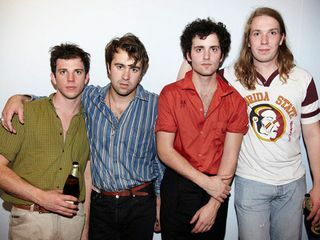 Then on Sept. 22, Amoeba Presents The Vaccines live at the Mayan Theater, with The Chain Gang of 1974 and Bad Suns. The English band fuses Britpop songwriting with Strokes-style energy on their latest album, Come of Age (available on CD or LP). Tickets are $27 through Amoeba (plus a $2 service fee) or are available here. Doors are at 8 p.m., the show starts at 9 and it’s all ages. Watch a video below of the band performing live at Amoeba around the release of their debut record, What Did You Expect From The Vaccines? 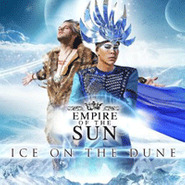 Finally, on Oct. 31 Amoeba Presents art-pop duo Empire Of The Sun live at The Shrine Auditorium. The band’s here in support of their recently released Ice on a Dune. Expect to also hear megahits like “Walking on a Dream”—it’s been medically proven that it’s impossible not to like that song. Tickets are $39.50 and are on sale at Amoeba (with an additional $2 service fee) or here. The show’s at 9 p.m., and it’s all-ages. See a taste of the EOTS live extravaganza below. 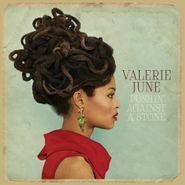 · Show time: 9:00 p.m.
· Door time: 8:00 p.m.
Valerie June – live at Amoeba Music, Hollywood, Sept. 19 at 6:30 pm. · Door time: 9:00 p.m.